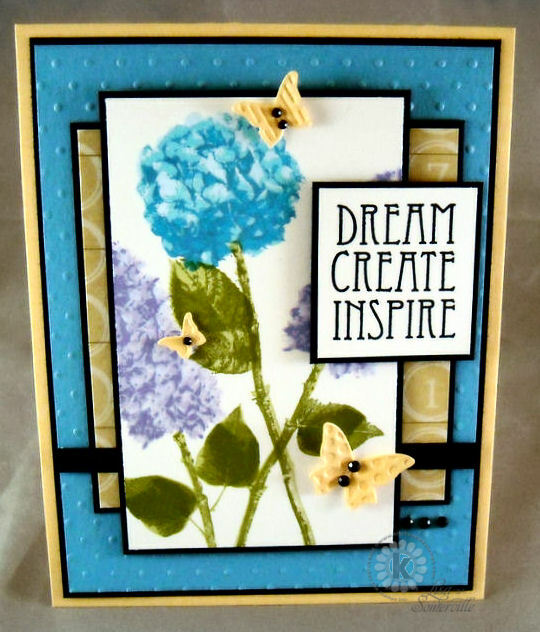 Designs by Lisa Somerville: KSS Mother's Day Sale! Kitchen Sink Stamps is celebrating Mother's Day with a limited time 20% OFF Sale and FREE Shipping when you spend $50.00! Simply enter code LISA20 at checkout, or CLICK HERE (no code needed), sale ends Sunday, May 13, 2012 Midnight. What a fabulous color combination! 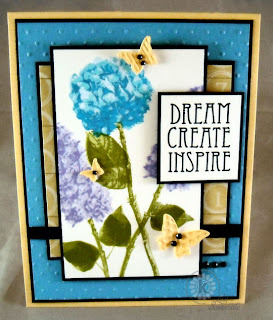 Very pretty card with those flowers and butterflies! Enjoy the evening! That blue is so pretty! What a wonderful card! Beautiful card Lisa! That Hydrangea is stunning! Gorgeous! Love your garden you created! Such a happy card!